Usually wearing an item of pink hue, street photographer Colin is as eccentric and engaging as the subjects in his new photo book – Stokes Croft and Montpelier. So when I was offered the opportunity to join Colin on a behind-the-scenes tour of Bristol’s ‘ghetto’, I jumped at the chance to explore this misunderstood cultural hub. I was honoured to have joined street photographer Colin Moody on a tour of Stoke’s Croft where I received a complimentary copy of his new book – Stokes Croft and Montpelier. This article comes as an extension of the tour and the book, but all opinions expressed are my own, and no monetary compensation was received in exchange for my views. While the street art that adorns every crevice in the area is a sight in itself, after speaking to Colin who befriended his subjects to gain authenticity in his photography, it’s clear to see that it’s the people that make the place a home. Sure Bristol can boast about Cary Grant and JK Rowling as its great over achievers, but it’s the overlooked and rugged everyday individuals that caught Colin’s attention. 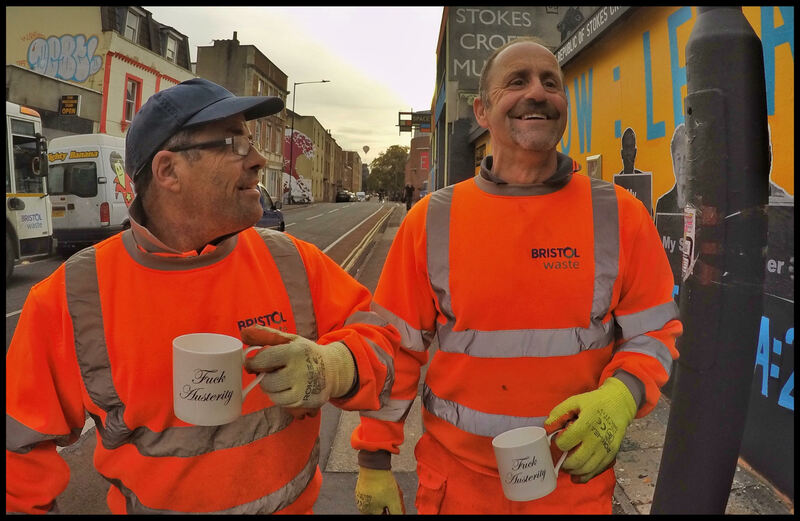 Many of these have been featured on the Absolute Bristol Legends tea towel that seeks to raise money for local charity – Caring in Bristol. The following individuals achieve greatness from the mundane, and can still be found on the corners of Stoke’s Croft. So if you happen to see them around, why not buy them a coffee for their honorary efforts in keeping the spirit of Stoke’s Croft alive. 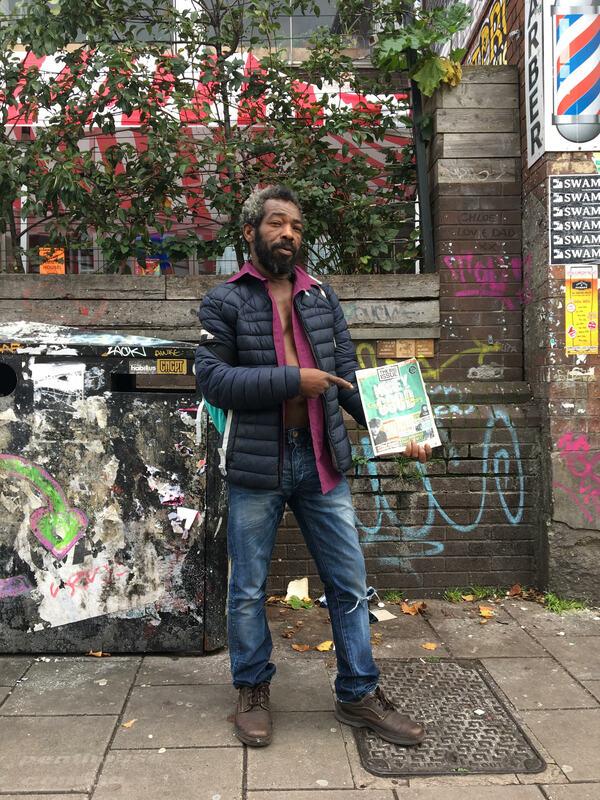 Around the millennium, Jeff fled violence in Jamaica and wound up in Bristol, eventually coming to sell the Big Issue. While homelessness doesn’t usually scream inspiration, Jeff has become a local legend thanks to his unwavering positivity. Those that meet Jeff in the street are rewarded with a fist bump, a hug or a simple chat. In January 2019, Jeff’s unbounded enthusiasm earned him a permanent home after 500 people in Bristol donated to buy him a Volkswagen van. The People’s Republic of Stoke’s Croft seeks to’promote and bring to fruition the notion of Stokes Croft as a Cultural Quarter, as a destination. Its seeks to promote creativity and activity in the local environment, thereby generating prosperity, both financial and spiritual. PRSC will work in all ways to enhance the reputation of Stokes Croft as a globally renowned Centre for Excellence in the Arts, both in its actions and by encouraging the action of others.” Who do you know who’s fighting this hard for the good of the community? Th community work by PRSC is financed by Stokes Croft China – a local studio and factory that decorates fine English bone china using salvaged ceramic transfers from a bygone era – and my goodness some of their designs are just beautiful. You’ll find the store front adjoining the PRSC HQ in Stokes Croft. To look at Derek Serpell-Morris, you’d have assumed he wiled away his Sunday afternoons with a cup of tea and a crossword, planted in his favourite chair with his Moccasin slippers. 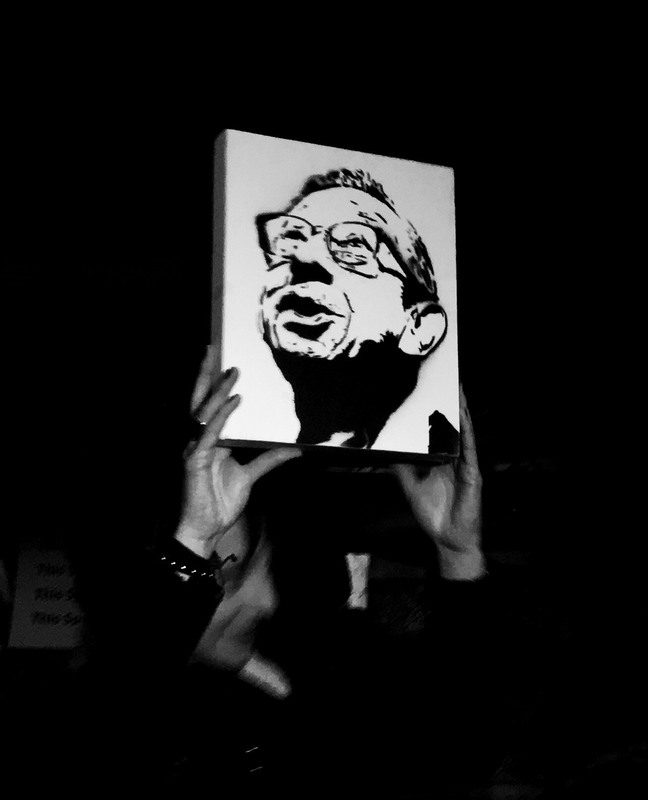 And while the cardigans and bright waistcoats may paint the picture as an ordinary man, DJ Derek – as he’s come to be known – was anything but. Dubbed the ‘blackest white man in Bristol’, this former-accountant for Fry’s Chocolates found his true calling after quitting his job and moving in to a small basement flat – where he remained the rest of his life. Shortly after, Derek began DJing at a local pub introducing reggae, ska, rocksteady, dancehall and R&B genres and the rest is history. At age 73, DJ Derek claimed the title of Britain’s oldest DJ, and having played Glastonbury and appeared in a Dizzee Rascal video a very accomplished DJ at that – even touring with Bob Marley’s legendary band the Wailers. Sadly Derek went missing in July 2015, and his remains were later found near Cribbs Causeway that the police deemed not to be suspicious. Hundreds attended Derek’s funeral in celebration of his colourful life, and his memory continues. Described by Visit Bristol as the ‘Godfather of Bristol urban art’, John Nation directly influenced the work of Banksy and other aspiring artists having provided a platform for their creative expression. As a youth worker in Barton Hill in the mid-1980s, John encouraged the young artists to paint onto the centre’s walls and promoted graffiti. At just 21 years old, John led the ‘Barton Hill Aerosol Art Project’ that sought to provide a safe place to spray-paint without fear of arrest and prosecution. Ironically, despite gaining permission to lead the project, this led to his arrest for ‘conspiracy to incite criminal vandalism’ but this didn’t deter John from continuing the ‘aerosol art’. 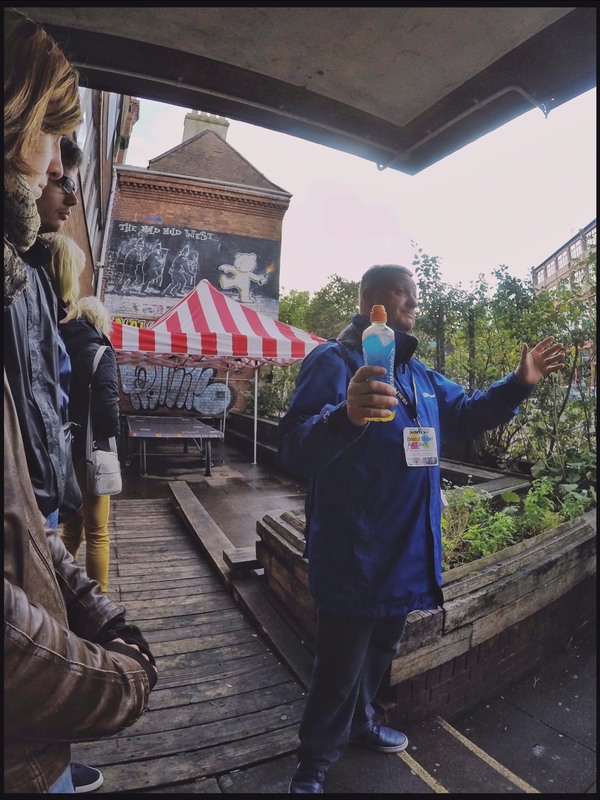 Thirty years on and today John leads an award-winning street art walking tour – Where the Wall. Author: Photojournalist Colin Moody worked as an art department assistant and graphic designer before focusing on photography. 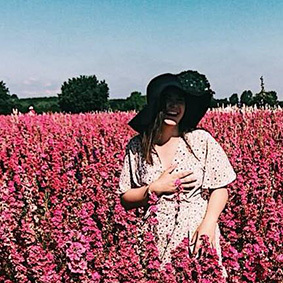 Since moving to Bristol nine years ago he has been photographing the city and its people. Extract from Colin’s interview with Bristol 24/7, available in full here. Publisher: The History Press is the UK’s largest dedicated history publisher. They publish across a broad range of topics and periods, covering the exceptional people, places and events that have shaped our lives today. Synopsis: No place sums up the Bristol attitude of artistic creation and rebellion as Stokes Croft and Montpelier. With its world-renowned street art, thriving local scene and diverse cultural history, Stokes Croft has for decades been resisting the inevitable creep of corporate interests, but more importantly offers up an alternative. Colin’s photographs take you under the skin of the people, cultures, and place in this unique area of the city, where lives intersect and a new world is being created every day.